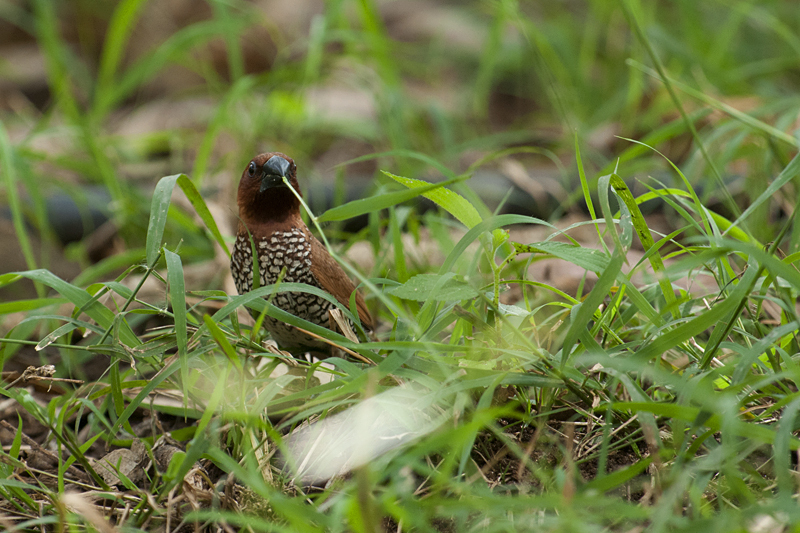 While waiting for the Blue-capped Rock Thrush that I successfully photographed and described in the previous post, I spotted a Scaly-breasted Munia foraging in the grass near the golghar. They are known to nest around human structures. 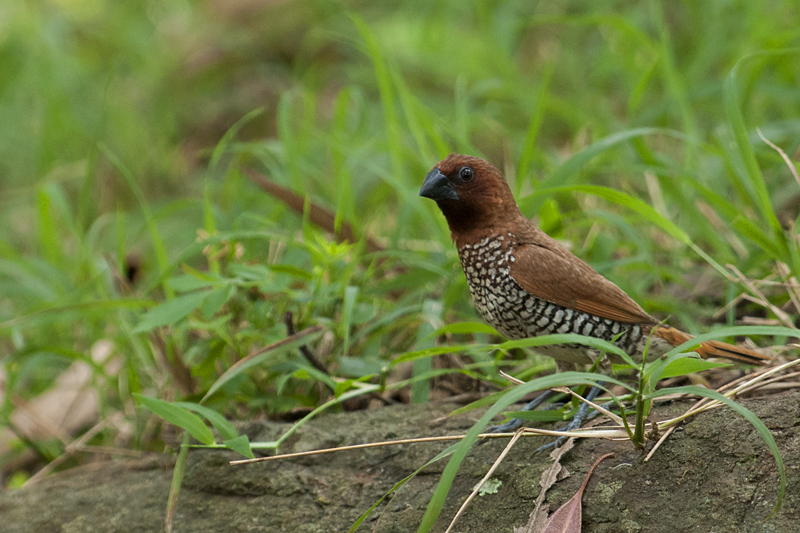 So I paid attention to this Munia, in anticipation of it returning to its nest, which I was sure was somewhere nearby. 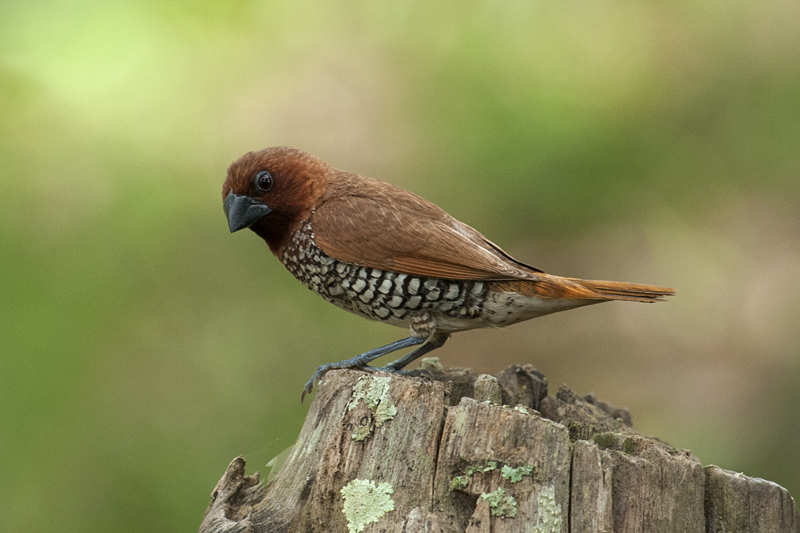 Once before I had observed a nesting Munia and managed to get full frame compositions of this relatively tiny bird that I described in “Nesting pair of Scaly-breasted Munia”. The moment I noticed it carefully choose a blade of grass, skillfully cut and pick it and fly to a nearby tree, it was clear that it was indeed building a nest. 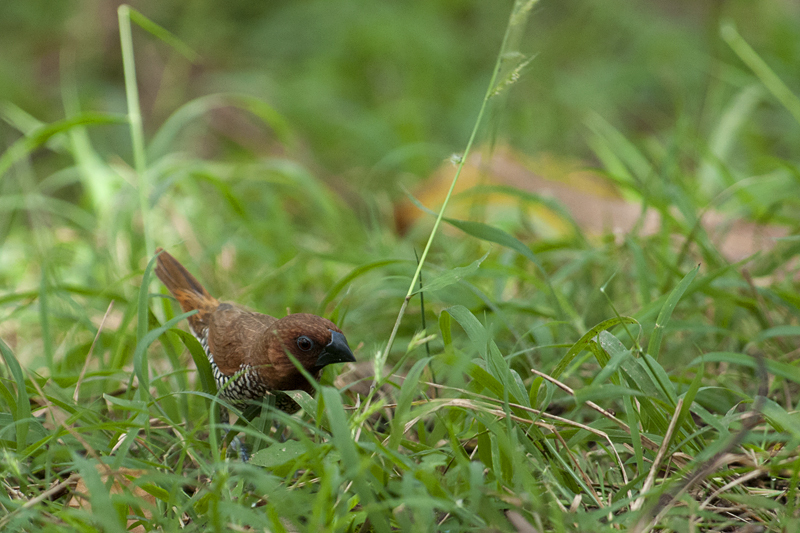 The moment the Munia flew back to its nest with the next blade of grass, I quickly moved my camera setup closer to the action area. In the thirty minutes that followed, I patiently observed this tiny wonder diligently go about its nest building duties. Then the star attraction, the Blue-capped Rock Thrush came by and I switched my attention over to it, not before I got these series of pictures. 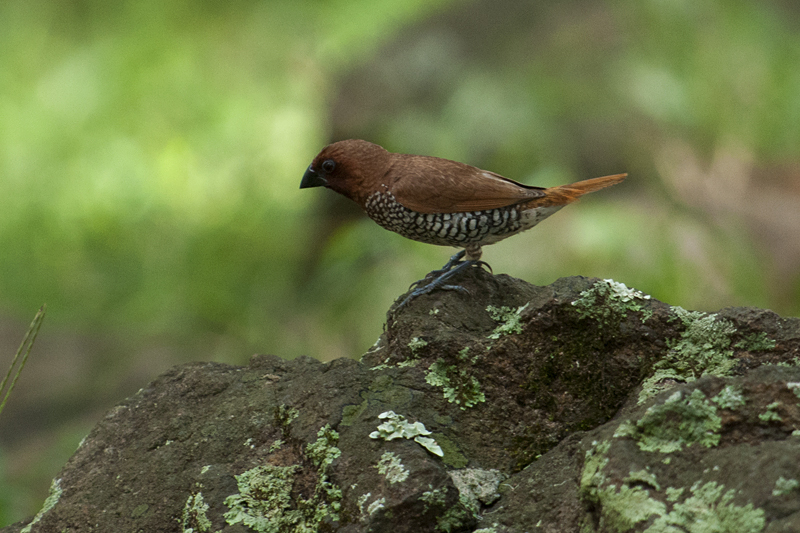 Every now and then, the Scaly-breasted Munia would pick a high perch (first two pictures) and survey the grass to decide which area has the best quality grass. Then it would dive in and do the picking as seen in the rest of the pictures.